Kudos to the European Union for its nascent leadership on efforts to reduce greenhouse emissions—it must hang tough in the face of opposition from China, India and the United States. There are legitimate debates over the most effective schemes for reducing earth's anthropogenic atmospheric carbon load1—there is no legitimate debate over the need for every nation to immediately implement a carbon-reducing scheme. 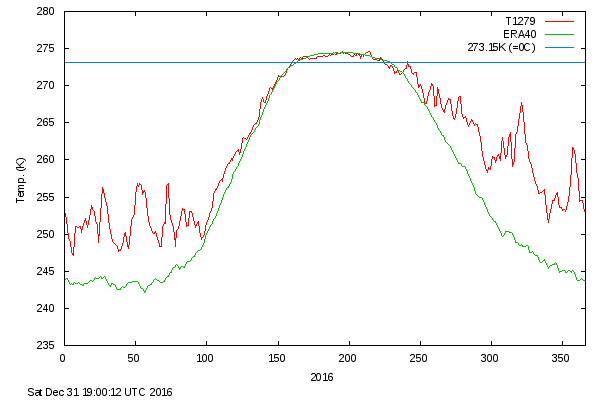 UPDATED 11/22/2016 DMI, Arctic Temperatures Daily Mean Temperatures North of 80 degree North (1958-2016) [note: 260K is approximately 8.3F; Convert K2F by T(°F) = T(K) × 9/5 - 459.67 or just type "260K equals F" in your Google or browser bar and presto, 260K=8.33F]. UPDATED 12/26/2018 TedxStockholm, School Strike for Climate, A Young Autistic Greta Thunberg Demands Reduction in Fossil Fuel Usage and NBER,Impacts of a Carbon Tax across US Household Income Groups: What Are the Equity-Efficiency Trade-Offs? The global community must disabuse our leaders of industry of the notion that they can produce or offer any "product or service", regardless of the damage it inflicts on our unique planet. Will China play the lead or cameo role on stabilizing global climate-change? UPDATED 11/17/2017 Nova, Can the US Tackle Climate Change Without Federal Action? We must make our expectations clear for cutting greenhouse gases, notwithstanding the imprudence of our unstable, unfit, unwell, and unbalanced "new" alt-white-house et al. It's cruel for our unstable, unfit, unwell, and unbalanced "new" alt-white-house to pretend it can "save" the coal industry or use the coal miners as props for its madness, misery and mayhem. Maybe, as our "new" alt-white-house and congress defy each other our nation will actually do something positive?! Unfortunately, our unfit, unstable, and unpresidential "new" alt-white-house will likely cause additional grave harm before it can be removed or replaced, but such can be the high price of manipulating democracy. Our nation is grateful to those who have dismissed the buffoonery while working hard to mitigate its harmful impacts. "...We take note of the decision of the United States of America to withdraw from the Paris Agreement. The United States of America announced it will immediately cease the implementation of its current nationally-determined contribution and affirms its strong commitment to an approach that lowers emissions while supporting economic growth and improving energy security needs. The United States of America states it will endeavour to work closely with other countries to help them access and use fossil fuels more cleanly and efficiently and help deploy renewable and other clean energy sources, given the importance of energy access and security in their nationally determined contributions. * An articulate Australian political reporter summarizes the daily deplorable deception of our "new" alt-white-house. As party partisans come to its defense, Reince Priebus articulating the "profound" statement "...he [president] believes in the things he believes in...". Really, we'll check back periodically and see what they "believe in" then...we've seen this movie before! It is shocking that anybody would defend our "new" alt-white-house! But, remember an estimated 63M of our citizenry voted for it!!! 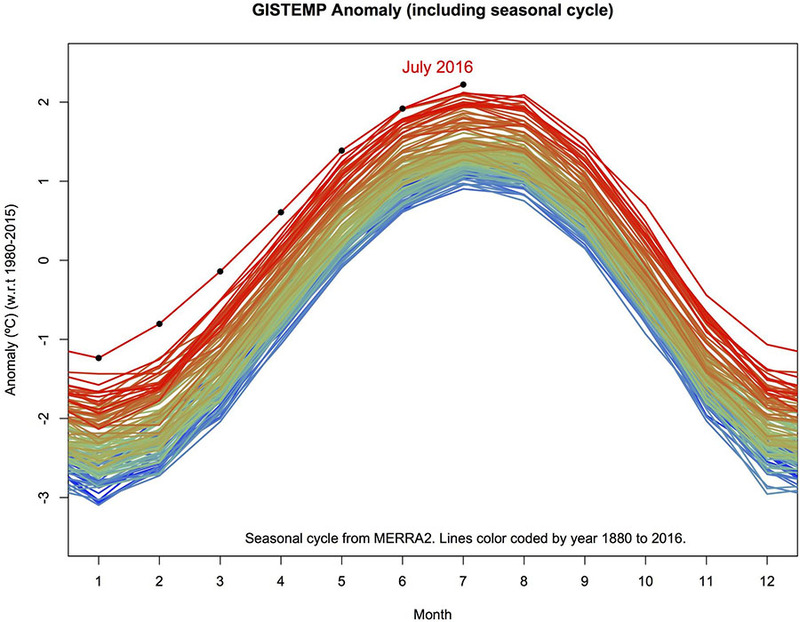 It seems anomalous at best and schizophrenic at worse for our unfit, unstable, unpresidential "new" alt-white-house to so often forecast a dystopian future and lack any leadership on efforts to dramatically cut global greenhouse gases. Boiling off earth's atmosphere can get pretty dystopian, especially for our religious zealots (some might say wackos) who mostly envision a somewhat more "heavenly" future! Kudos to the governor of California et al. Kudos to Volvo for implicitly declaring the combustion engine† obsolete! The combustion engine† has been obsolete and harmful for decades, but many corporate leaders seem petulantly focused on forestalling advancement to cleaner next generation products. In some cases implementing fraudulent and complex cheating schemes and cynically calling them "clean"! † Expectations for our next generation industrialists must include the transparent and rapid obsolescence of harmful products. Science is not a cheerleader for industrialists it's their challenger and any intentional manipulation of science for purposes of product perpetuation must be castigated. If our policymakers persist with their depraved practices of sacrificing our citizenry to the fast evolving global economy they can expect another hatemongering wingnut and charlatan to lead our nation. While globalization is beneficial sacrificing our citizenry is not! Global markets are tools we use not tenets to we impose. UPDATED 06/16/2017 SA, Nevada Boosts Solar Power, Reversing Course Excellent, it has a big market for solar and wind energy next door. Our "new" alt-white-house is behaving like a toddler standing in the middle of a playground stomping his feet, screaming, crying, and pouting after everybody has left him behind. Hosting the scrubbed EPA climate-change data is useful, but will not meet San Francisco's 2020 goals. On the other hand jointly (Germany, California, San Francisco, PG&E et al.) hosting a pilot off-shore wind farm to entirely power San Francisco would! Our citizens need not await a declaration by Congress or supporters that the unfit "new" alt-white-house's disjointed (some might say delusional) ramblings are irreparably harming our nation. Kudos to our state, city, municipalities, business, and citizens for their efforts to make sure our nation will seamlessly comply with the United Nations Framework Convention on Climate Change, Paris Agreement, which an incapacitated "new" alt-white-house is not able to do. It is unclear how our "new" alt-white-house will "negotiate" with itself? All signatories to the Paris Agreement within the United Nations Framework Convention on Climate Change must carry out the Paris Agreement without our nation. Our nation will rejoin the Paris Agreement after we've solved several problems (e.g. senators opportunistically using "snowball science") with our current government. In the meantime many of our citizens, states, and congressional leaders can and will encourage our businesses to ignore our "new" alt-white-house's untenable decision and abide by the existing Paris Agreement. Even with an unscientific, unfortunate, uncouth, unbalanced, untrustworthy, unacceptable, unAmerican, untruthful, unsavory, unsuitable, undemocratic, unethical, unprepared, unpresidential, unfit, uninformed, unbelievable, unhinged, unconstitutional, unintelligible, unpredictable, unpopular, unscrupulous, undignified, unimpeached, unpalatable, unviable, unsalvageable, and unreproved "new" alt-white-house America will do the right thing! Our nation must proceed with all diligent speed to a minimum cap and trade carbon price of $60/tn CO2. UPDATED 04/07/2017 SA, Court Upholds California's Cap-and-Trade Program and SA, Americans Used a Lot Less Coal in 2016 California's efforts to reduce atmospheric carbon loads clears a small but significant legal hurdle. Excellent, don't forget Mexico (building walls won't change the climate) and Canada. "...taking historic steps to lift restrictions on American energy, to reverse government intrusion, and to cancel job-killing regulations,.."
Those participating in our energy sector would be wise to assume a near energy future, which includes continued limits on coal usage. Signing an executive order implying coal is coming back is cynically cruel gimmick. Our nation can simultaneously reduce anthropomorphic carbon loads while measuring the impacts of climate change with increasing precision! It's a bizarre assertion and twisted logic that requires our government not act until some unspecified measurement precision! To our government's everlasting shame it permitted, if not actively encouraged this same bizarre and twisted logic to enable Big Tobacco to manufacture cigarettes, which is killing our citizenry by the hundreds of thousands a year to this day! Oh yah, and our scientists are still measuring with increasing precision how those cancers kill our citizenry!! Suppression of data will likely be the preferred solution to our global warming problem during the alt-white-house's short-term. Its actions should not dissuade all other nations and leading states (e.g. California, New York, Canada, China, E.U., Mexico et al.) from moving forward with efforts to limit carbon loads and protect the global environment. Fortunately, old scientific speak is pushing back against our “new” alt-white-house speak (aka lying)! Who else will give the science based guidance, which offsets the prayer based guidance asserted by our climate change clowns (deniers)? Wow, comrade Trump is already generating preinaugural Nixonian-like enemies lists of DOE scientists. On the bright side he hasn't begun shooting our climate or other scientists, yet. Perhaps, he's awaiting senate confirmation of his choice to head DOE, a religious zealot (wacko?) named Rick Perry2, to pray that our pesky climate scientists go away? What can possibly go wrong at the DOE run by a praying clown under a comrade Trump government (regime?)?!!! Kudos to Rhode Island's for its wind power pilot project, notwithstanding its initial higher price points or preinaugural comments by comrade Trump and his climate clowns. You can't make this stuff up! Can you countersue for stupidity? Let's see the plan, not the press releases! UPDATED 11/22/2016 SA, Will the Rust Belt Stick with Coal Under Trump? If America's "Rust Belt" wants to continue rusting, their state leaders will "stick with Trump"! Our nation and the world is moving on to cleaner energy with or without the putative titular successor to President Obama! Excellent! China works with Africa and America works with China (or not?) on reducing levels of greenhouse gases, notwithstanding prognostications that Trump's government (regime?) will prefer and pursue regressive unscientific goals and solutions. Implementation rules are important to make sure that each nation's annual emissions reduction progress reports are directly comparable, both intranational and international over time. Voluntary commitment to reduce greenhouse emissions to specific levels should not be derided a priori. Should big oil be treated like big tobacco? Kudos to Presidents Obama and Enrique Peña Nieto of Mexico and Prime Minister Justin Trudeau of Canada! While Britain tries to figure out how to isolate and insulate itself, let the rest of the world cooperate to meet important global goals. Hey Senator Inhofe (R-OK) show us your senate-snowball-science on global warming (some might say stupidity), again! 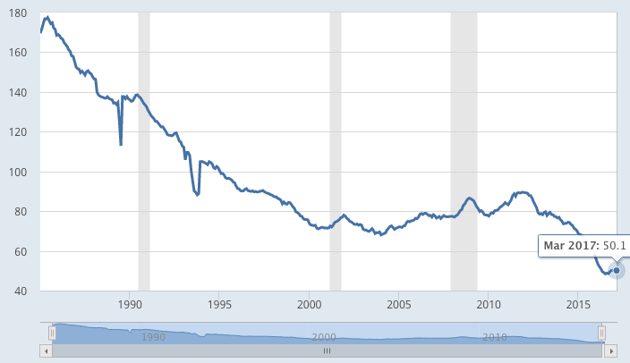 Candidate Hillary Clinton is correct that the coal jobs are going away (fast), which is not to say that our current congressional leadership should not legislatively mitigate the impacts of the coal jobs displacement. However, a significant proportion of our current congressional leadership are content to chant "free market", "lassie fair", political, and economic slogans instead of legislating policies that will mitigate the impacts of the coal jobs displacement. It seems preferable to change the slogan chanting proportion of our current congressional leadership instead of criticizing her message. We can't wait to begin studying each nation's plan to reduce their anthropomorphic atmospheric carbon loads and measuring the resultant global reductions. As each nation's plan is analyzed and measured it will be useful to recall a quote oft attributed to W. Edward Deming: "In God We Trust, All Others Bring Data". The expectation is that many more coal mines will follow. The unexpected is that our congressional leadership will tell our citizenry that "free market" laissie-faire neo-anarchists' sincerely and strongly held beliefs will autonomously mitigate the well-known and understood economic dislocations, which will occur. The camera method of monitoring point source emission of methane is not so new, but it's nice that to learn that point source measures correlate well with regional measuring and monitoring. Let's begin the periodic, open and transparently verified international reporting of numbers, tomorrow! Mr. President, no nation, developed or developing, should be required to choose between the rapacity of an economic system and a repressive military system, which your assertion at approximately 2:15 implies! President Obama must make clear that our nation will lead by immediate implementation of the challenging changes required to ensure sustainably neutral anthropomorphic contribution to global warming. Other world leaders must demonstrate this same leadership at the upcoming climate conference where hard decisions will be required to transition all global economies to cleaner forms of energy. Finally, ... and from a so called "lame duck presidency"...encore! Delaying the formation of carbon markets (pollutants) will simply produce a higher initial price per pollutant tonnage, given a pollutant price-probability curve reasonably required to mitigate or offset the probable harm. Negotiators must immediately establish global carbon markets notwithstanding pleas from the high polluters to slow-walk negotiations at the low end of a pollutant price-probability curve (e.g. $10/tonne CO2) or the low polluters to no-walk at the high end of a pollutant price-probability curve (e.g. $80/tonne CO2). The current pollutant load has already effectively determined an outcome for the negotiations (e.g. between $20-$40/tonne CO2)—the sooner markets is are established for pollutants the sooner innovation can begin moving the price down the pollutant price-probability curve. Which is not to say that the polluters' pleas are noise level—but what professional negotiator is not skilled at filtering the noise? President lauds graduates and entreats their age demographic to aggressively accept climate change challenges required to reduce and mitigate its impacts. Kudos to our President and EPA for the extraordinary efforts aimed at reducing the United States's contribution to atmospheric carbon loads—hopefully, swiftly pushing through the inevitable challenges and litigation! Whatever else "government overreach" means it does not mean more accurately costing carbon's contributions to the United States economic activity. Our coal users appear to use the phrase "government overreach" as a euphemism for continuing their unmeasured, unconstrained, unaccountable and uncontested burning of coal, regardless of the harm or external costs? It's always been an illusion that the full costs of our energy usage can be externalized, but that illusion continues to delay, impede or prevent meaningful multilateral reforms necessary to immediately mitigate and minimize our energy usage. Kudos to California ARB's tightrope walking efforts to lower the excessive anthropomorphic atmospheric carbon load. Kudos to our President for his partial leadership on issues related to climate change, notwithstanding an obstreperous Lower House of Congress. All alternatives but international cooperation are excluded by these enormous global impacts and costs. Article includes a link to the Nature study citing an updated Page09 model (initially developed by the Stern Review on the Economics of Climate Change). Hopefully, we will soon begin our "struggle" to reduce atmospheric CO2 loads, too. The price of a 33 grams cartridge of C02 to fill bicycle tires is approximately $10. A metric ton of CO2 at this price is approximately $30,303. A pollution permit priced at $6 per ton of CO2 seems like a bargain, even if the material cost for the metal bicycle tire fill cartridge is subtracted. UPDATED 02/21/2013 HIPPO, HIPPO global-scale air chemistry dataset now available Includes links to Carbon Dioxide Information Analysis Center and University Corporation for Atmospheric Research (UCAR) for obtaining dataset. UPDATED 11/12/2012 NYT, E.U. Postpones Charges for Airline Emissions EU has postponed its mandatory carbon tax on airlines for a year to enable the global airline sector to voluntary adopt guidelines that reduce the amount of carbon they spewed into our atmosphere. EU has threatened to reinstate its carbon tax if meaningful voluntary guidelines are not adopted within the postponement year. Sadly, on the rare occasion when our totally dysfunctional Congress is able to agree on something, it's to impede efforts too reduce the carbon load spewed into the atmosphere by airlines. Understandably some nations may not appreciate Germany's unilateral efforts to tax domestic and foreign airlines' carbon emission. However, instead of impeding Germany's nascent efforts to reduce carbon loads other nations must join those efforts by implementing common, cooperative, and complementary airline carbon-taxing schemes. It seems useful to note that nature is not a respecter of human hubris or fairytales and that the fossil record indicates extinction is a more probable outcome than adaptation. Substituting fairytales for facts and praying that "God" somehow solves a problem does not seem like an optimal adaptive strategy. Although, one can appreciate why those depending on such a strategy would incorporate "life after" extinction into their fairytale. UPDATED 04/04/2012 BBC, CO2 'drove end to last ice age' More evidence that an increasing CO2 load leads the lagging temperature rise. UPDATED 03/27/2012 Reuters, Government proposes first carbon limits on power plants Kudos to our EPA for moving toward increasingly "cleaner" carbon sources. Additional transparency is required about "fracking methods" so its economic externality forecasts can be updated and compared with those related to "coal methods" (with and without CO2 sequestration). India and all other national and international airlines must opt-in to the nascent EU carbon-reducing scheme and adopt carbon-reducing schemes of their own. Eventually, all nations must jointly agree to attach carbon fees to every purchased aircraft (and other mobile carbon sources)—the sooner, the better. 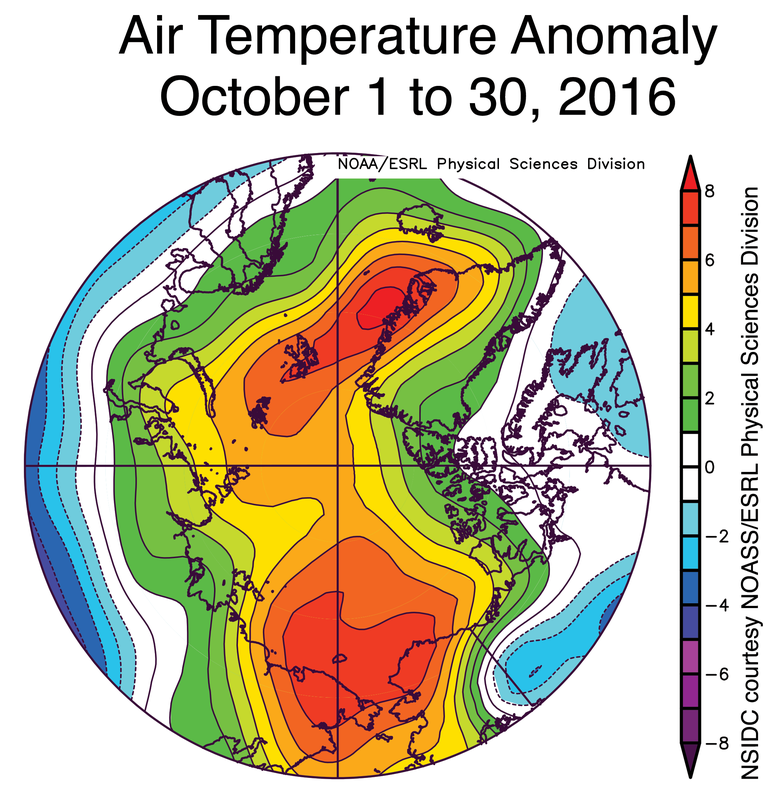 We can expect some nations to pursue the most torturous path possible to delay reducing their anthropogenic atmospheric carbon loads. Our major airline executives have misdirected their complaints to the EU for its nascent efforts to reduce our growing and harmful anthropogenic carbon loads. Their complaints should be directed to all national governments and aircraft manufacturers for the purpose of encouraging them to pursue joint efforts aimed at immediately reducing our growing and harmful anthropogenic carbon loads. UPDATED 02/20/2012 Reuters,Moscow air talks to debate measures against EU: draft and Reuters, Q+A: Will Moscow talks unleash carbon trade war against EU? Perhaps citizens living in the "carbon counter-measure nations" can express their preference for airlines and corporations, which join the EU's nascent efforts to immediately reduce atmospheric carbon loads? "Under the draft EU proposal, tar sands are assigned a default greenhouse gas value of 107 grams of carbon per megajoule, showing buyers it has more environmental impact than conventional crude with 87.5 grams." Reuters, EU won't drop aviation CO2 scheme: Instead of joining the urgently need efforts to reduce greenhouse emissions, specifically global CO2 (~390+ ppm), some nations are threatening retaliation. Hopefully, their retaliation will take the form of adopting a carbon-reducing scheme that includes airplanes. 1. Those unfamiliar with earth's carbon cycle (global thermostat) may find the online introductory lectures, generously made available by University of Chicago and computational ocean chemist David Archer, helpful. Perhaps perusal of A U.S. Carbon Cycle Science Plan (pdf) after the lectures. 2. You'll remember Rick Perry from his 2012 presidential campaign as the candidate who was going to cut three governmental agencies (Commerce, Education and ? ), if only he could remember that his list included the Department of Energy.